Three versus three is the name of the NHL 18 Beta, or at least it really should be since most people have tried 6v6 and versus multiplayer before. So while I could go into detail about those modes, which outside of gameplay tweaks haven’t changed much, I will spend the majority of this short impressions piece talking about the biggest addition to NHL 18. Before I get into the new mode, I would be remiss if I didn’t mention the interface in the beta. I know it might be a tiny thing for some but it felt quicker to me. This is something I have often complained about in previous games. Menus loaded quicker, the overall look was crisper, and it just felt better even though it’s the same basic UI in past games. The in-game menu has also seen a very nice update to it, especially in EASHL, where it tells you exactly who you are waiting for to begin a new period. This allowed me to direct my anger at that person directly. Enough about the menus, let’s talk some three-on-three. This is the single biggest addition this year, and one I wasn’t really pumped up about heading into this beta. I hate the three versus three format in the real sport, so why would I like it in my game? Well, I ended up being very surprised with just how much this mode adds to the game. It’s a fast-paced, high-scoring, free for all that provides something fun and exciting for those looking to change it up a little bit. There’s plenty of open ice to be had and skill players will find themselves loving the up and down, non-stop action. My first game ended up 7-5 in my team’s favor, with chance after chance traded back and forth. The new tweaks to the skill stick and defensive stick were a big help in this mode as well. The new skills on offense really helped open up the game, with between the leg shots and more freedom to create openings with the puck, making defenders and goalies look silly. On the defensive side, where I spend my time, you will want to use that stick as much as you can to accurately break up passing lanes or force a player to do something he wasn’t ready to do. It adds a whole new level to all of the modes to be able to control more of what you do with your stick and the puck. Two of the more disappointing things I noticed in the NHL 18 Beta were the goalies and the players. Goalies seemed to be a bit softer during my time with the beta, especially in the chaotic action of the three-on-three mode. Rebounds were a bit ridiculous and it seemed like deflections were scored a lot more easily this time around. I am fine with the deflections part, but it felt like at times your goalie was giving up terrible rebounds on even the weakest shots. The players part is more just me being tired of having two forwards chase the same puck carrier, resulting in repeated two-on-one advantages against me. However, I am not sure EA Sports can really do much about that. For many people, sports games are the same thing year after year, which isn’t a bad thing in my eyes. However, this year, with the addition of three-on-three, it has opened up a whole new world for those looking for a quick, fast-paced, high event hockey. If that’s not for you, don’t worry, because NHL 18 will still feature all the other features you have grown to love over the years. 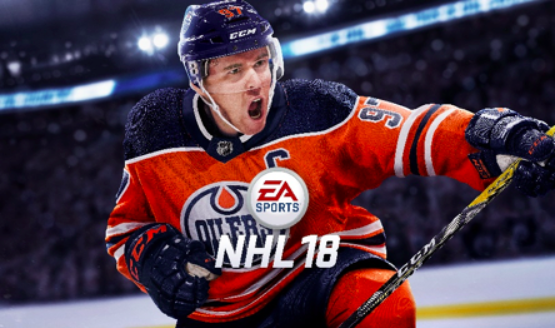 Make sure to keep your eye out for NHL 18 when it releases September 15 for the PlayStation 4 and Xbox One.